Twists are some of the most satisfying and rejuvenating postures in all of yoga. They penetrate far into the body’s core, offering potent benefits to the muscles and organs of the torso while offering the breath an opportunity to grow deep and full. Most practitioners agree that devoted practice of these postures adds a twinkle to your eyes and a spring to your step. Like any other kind of yoga posture, though, twists should be practiced with mindfulness and care. Keep in mind the following principles as you move through your daily dose of twists. Elongate the spine before you revolve. 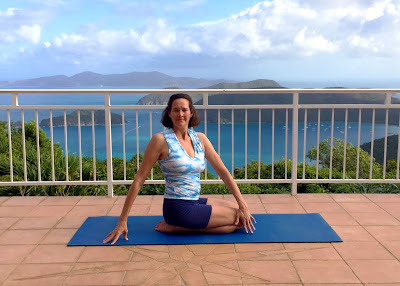 Since the name of the game in yoga is to create freedom and spaciousness, before you twist lengthen the spine by extending upward through the crown of the head and downward through the tail. Imagine your vertebral discs filling with clean blue sky, and then maintain this spaciousness as you spin. Let the breath be your guide. By their very nature, twists leave you with little breathing room within. But you can still find ways to let your breath support and guide you through your twisting explorations. Here’s one approach: As you inhale, lengthen the spine, and then as you exhale, revolve gently into your twisting posture. Pause and lengthen again on the inhalation, and then rotate farther as you exhale. Continue breathing and moving in this wavelike fashion until you feel you’ve nestled into the very depths of the asana. Breathe as steadily and rhythmically as possible for several breaths, and then slowly unfurl out of the pose. Be clear about which parts of your body you are stabilizing and which parts you are moving. In order to twist deeply, some part of you must be firmly anchored while another part revolves. Each time you move into a twisting posture, ask yourself which body parts you will be holding steady and which you will be revolving. This will lead to greater depth, clarity and integrity as you move. Recognize that certain parts of the spine revolve more easily than others. When it comes to twists, the neck and middle back just beneath the rib cage tend to spin more freely than other parts of the spine. That means that without mindfulness these areas are likely to bear the burden of most revolving actions. Try gently extending the movement beyond these two twisty parts of the spine into some of the more resistant areas above and below them. Practice twists evenly on each side. Because twists are asymmetrical postures, it’s usually a good idea to spend equal time revolving in each direction in order to promote balance. That said, if you know that one side of your body is tighter than the other, you might try repeating a twist twice on that side for every one time you practice it on your more mobile side. Take care while practicing postures that combine twisting actions and forward bends. For some, these combined movements create a significant strain on the back body. 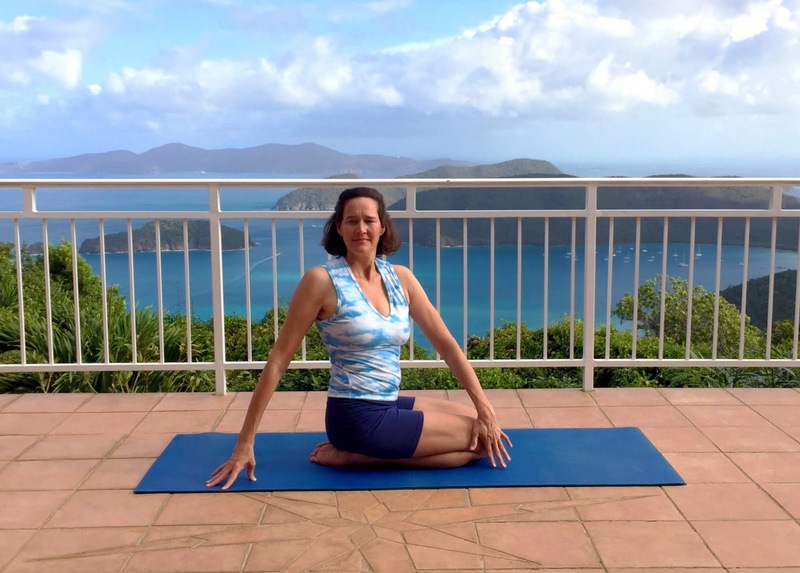 If you know your lower back or sacro-iliac joints are easily strained, seek the guidance of an experienced instructor before exploring forward-bending twists. Enjoy the after-image offered by revolving poses. Moving into a twist feels like wringing out a washcloth: It squeezes out tired old debris from deep within. That means that when you emerge from the pose you’ll feel more breathable and buoyed by life. Don’t miss the opportunity to enjoy the sensations you feel once you’ve emerged from your favorite twist - feelings of renewed clarity, vitality and ease.